If you REALLY want to shake up your Margaritas and you’re a big fan of bacon (and it seems like most people are these days) you can also give the Maplerita a try! This weekend is full of exciting holidays(Derby Day and Cinco de Mayo) and that means lots of delicious cocktails to help celebrate these exciting holidays! Luckily this year these holidays don’t fall on the same day so there is no need to choose between beverages, instead each cocktail can have its own day to shine: Mint Juleps Saturday & Margaritas Sunday! Get creative with your drinks and have a safe and happy Kentucky Derby & Cinco de Mayo weekend! One of my favorite days of the year – Cinco de Mayo – is nearly upon us, as is the culmination of Hiram Walker’s “Margarita Madness” cocktail competition! I’ve written previously of the contest, the third chapter of “The Quest” series, but it’s now time to mention it’s down to the final stretch. For your chance to win an Apple iPad, you need only submit your favorite Margarita recipe to “The Quest” through the Hiram Walker website or Facebook page by this Saturday, el Cinco de Mayo! So break out the tequila, Hiram Walker Triple Sec and your other go-to Margarita ingredients and get mixing these next two days; it’s really all the preparation you’ll need for your fiestas this weekend! Hiram Walker seeks out creative twists and flavors to the traditional Margarita - such as this Watermelon Margarita - in this chapter of "The Quest - Margarita Madness". Spring has officially sprung and with it comes the reemergence of Margaritas on bar and restaurant drink menus. 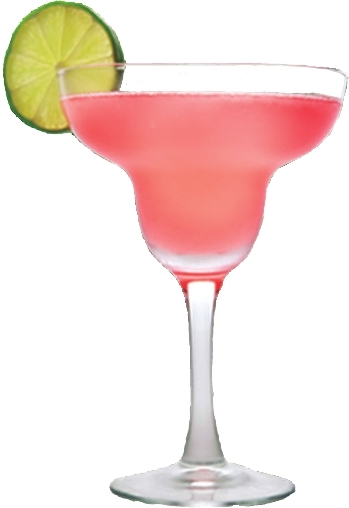 The Margarita continues to stack up as the most popular cocktail ordered in the US and is served in a variety of styles, flavors, sizes and glassware. In its search to find the country’s* greatest cocktail creations, Hiram Walker’s third chapter through “The Quest” focuses on Margaritas and invites consumers to submit their own original Margarita recipe for a chance to win an Apple iPad®**. Using a wide selection of the brand’s liqueurs and schnapps, entries to Hiram Walker’s “Margarita Madness” are being accepted now through one of the biggest Margarita holidays of the year, May 5 or Cinco de Mayo. Consumers will be invited to create fun and flavorful Margarita recipes that feature at least one of the following all-natural ingredients: Hiram Walker® Triple Sec, Hiram Walker® Peach Schnapps, Hiram Walker® Pomegranate Schnapps, Hiram Walker® Sour Apple Schnapps, Hiram Walker® Blue Curacao and the all new Hiram Walker® Watermelon Schnapps. A panel of independent judges will select a winner from all valid entries in accordance with the judging criteria. 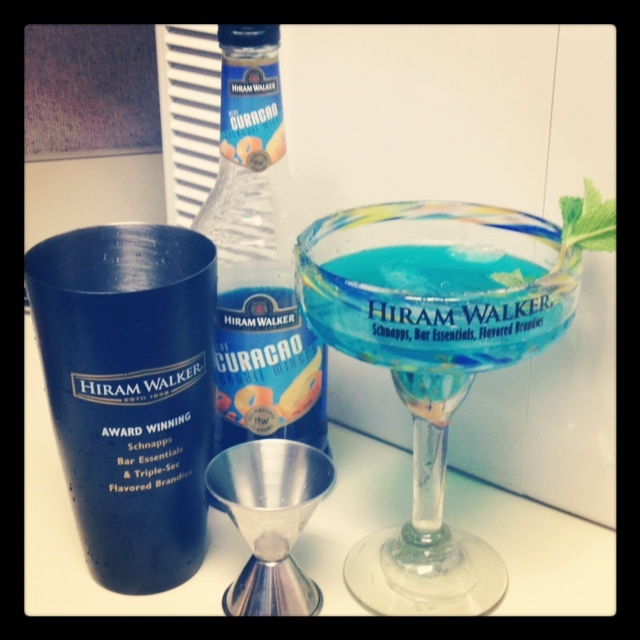 To enter the competition, consumers 21 and older can visit Hiram Walker on the web at www.HiramWalker.com or www.facebook.com/HiramWalkerUSA and upload a recipe to the Margarita Madness competition by May 5, 2012. No purchase necessary. The official rules and regulations can be found on the Hiram Walker website and Facebook Fan Page. So let the madness begin and submit your recipe before its too late! ** This Contest is in no way sponsored, endorsed or administered by, or associated with, Facebook® or Apple, Inc.®. 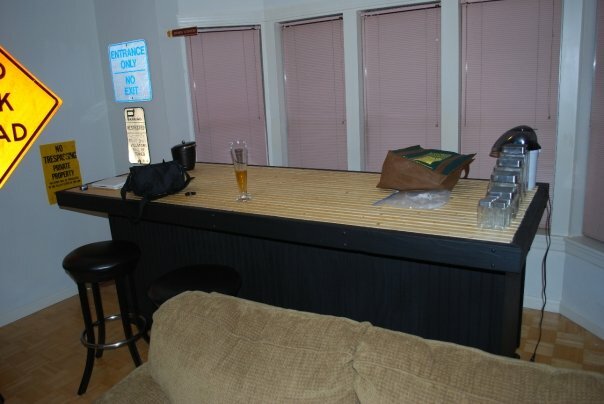 For those of you who have been following Cocktail Culture for a while now have likely already seen pictures of The Dirty Bird, the 10-foot bar that resides inside my apartment. Come Thursday, it will be overtaken with friends celebrating Cinco de Mayo, with me leading the shift behind the bar. In the hopes of keeping my drink-slinging simple, my ingredient list minimal and my tab at the liquor store budget-friendly, I’ve come up with the following collection of drinks that I think my group of friends will enjoy. I’m leaving the rest of the fiesta’s food and cerveza offerings up to my guests to bring on by. Both of these simple highball drinks call for 1 to 2 parts of tequila built with up to 4 parts of Orange Juice in a highball glass with ice cubes. What sets them apart? To have a sunrise, slowly add 3/4 part of Grenadine down the side of the highball or Collins glass. For a beautiful Tequila Sunset, I will be topping my tequila and OJ combo with 1/2 to 3/4 part of Hiram Walker Blackberry Brandy and a cherry garnish. As if that won’t be a resounding amount of booze already, I’m thinking that, so long as we continue to use tequila for the base spirit in this recipe, that this would make for a very fitting nightcap. Oh yes friends, it’s on. Wishing you all a fun and festive Cinco de Mayo manana! 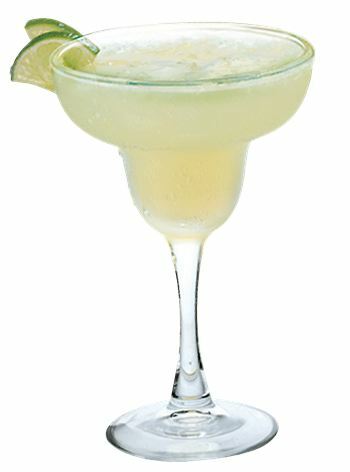 The margarita – as a result of its many of its varying forms: frozen, flavored, the works – continues to be the most popular drink ordered in America. Maybe it’s my Southwestern roots, but the margarita is undoubtedly among my most favorite cocktails, too. 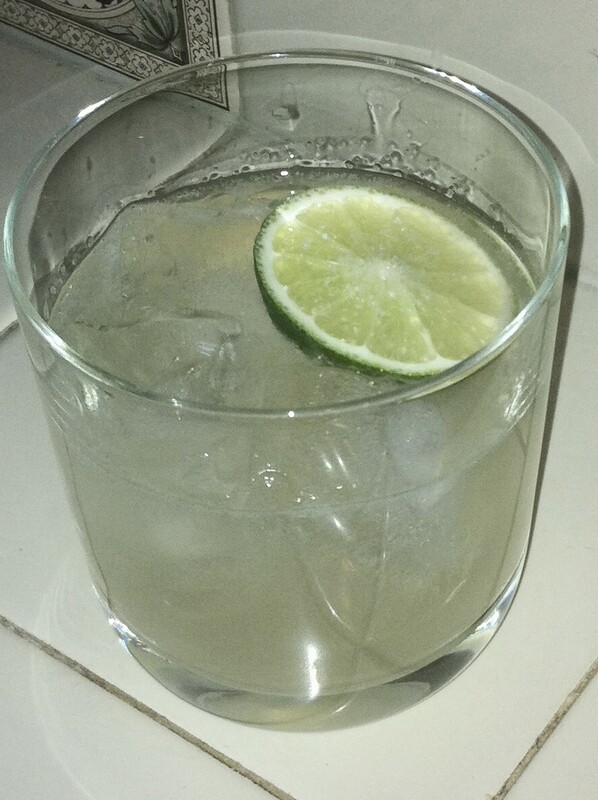 However, even when the general masses try to get me on the blended margarita bandwagon, mixing a classic margarita from the recipe below is usually a go-to drink at my own home bar. So the QotD: What do you consider to be the best margarita recipe? And how do you prepare your favorite variation (rocks, blended, with or without salt)? I would love to hear your feedback in the comments section below or on Twitter. Combine first three ingredients in a mixing glass with ice. Shake well and strain into a chilled salted cocktail glass. Salting the rim: Frost the edge of the cocktail glass by rubbing a lime wedge on the outside rim of the glass, then dipping it into a saucer of coarse salt. Salt only half the glass if you are being “calorie conscious” “high blood pressure phobic” (as Fred so aptly phrased it in the comments section).